When I’m pressed for art time, I like to come up with a subject that I can work on in short takes over several days. Such has been the case lately, so I decided to revisit a sketchbook page that I did several years ago. 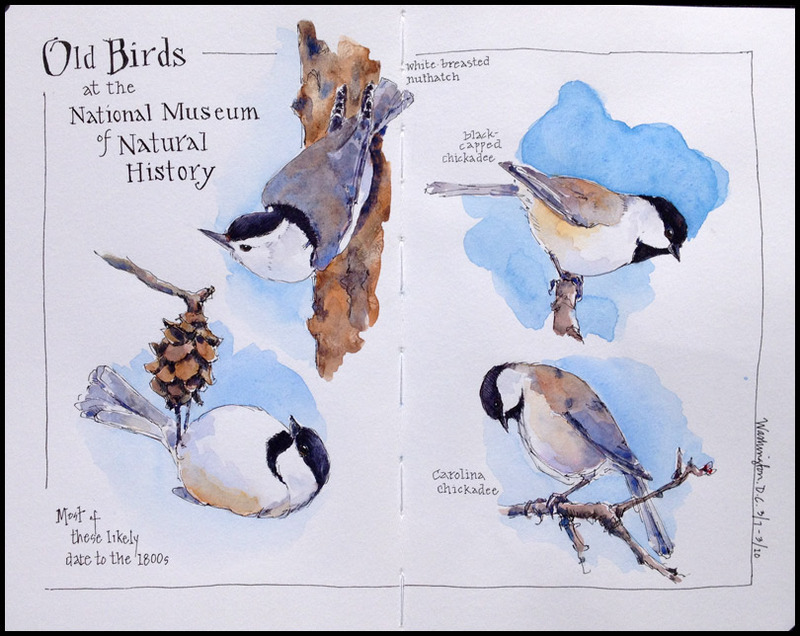 In 2014, I painted a number of chickadees on a single journal page using pencil and watercolor. I’ve always liked that page, so I decided repeat it— this time on toned paper using only a pen and a bit of white colored pencil for highlights. This exercise is a good one for trying to capture different poses and for getting the basics of the bird down without too much fuss. 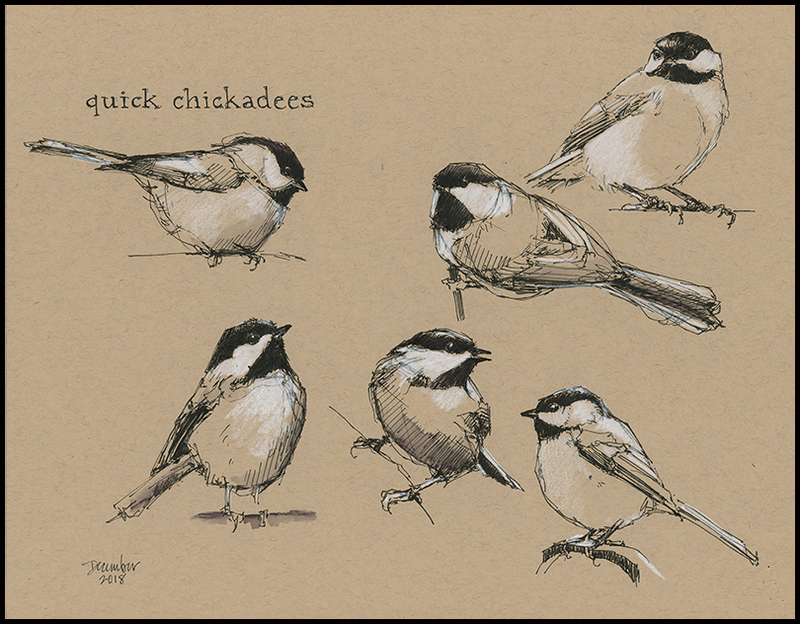 Tips and Techniques– Chickadees are common songsters, but they don’t sit still for long. Practice drawing them quickly from photos and you’ll be better prepared for sketching them from life. Give yourself a time limit; see what you can do in 3 to 5 minutes per bird. Add a few more minutes for shading or finer details if needed. I used toned paper, but you could use drawing paper or watercolor paper with a touch of color for shading and dimension. Gray. Damp. Cold. It’s been a jolt to go from the brilliant warmth of autumn to chill snow-in-the-air November. 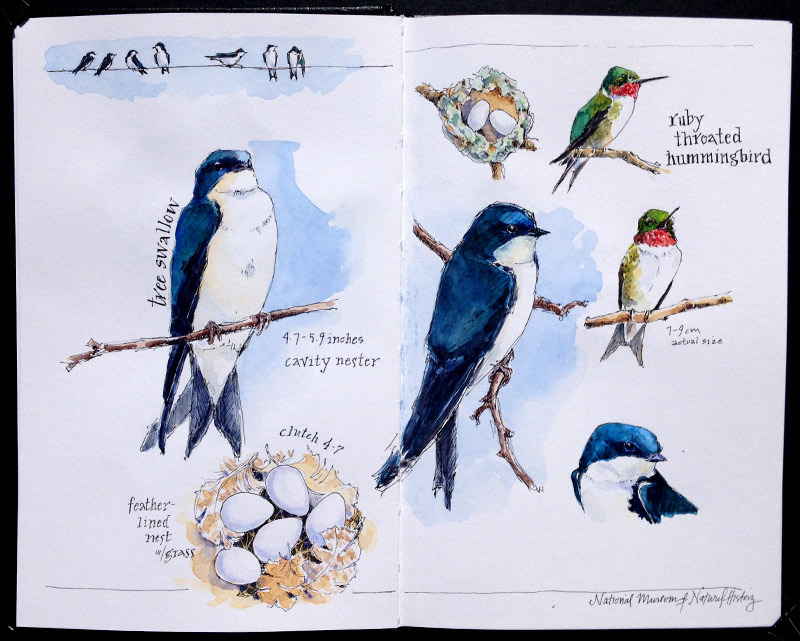 Still, I was determined to get out and sketch birds today. I filled the bird feeders. Nothing came. I went to the nature center and walked the trails. Few birds appeared. Cold and defeated, I returned home and took consolation in cinnamon buns and coffee. 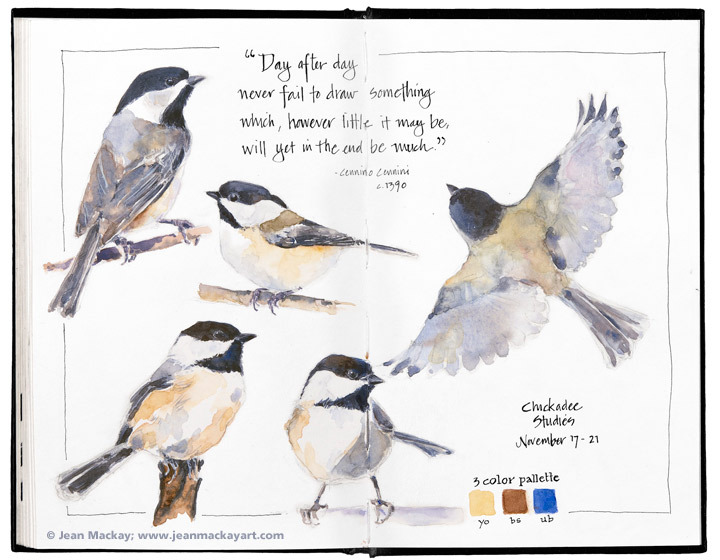 But I couldn’t resist adding this chickadee to the page. I sketched him from an old photo, which made it a bit challenging to get him to sit just right on the rim of the pan. No matter. 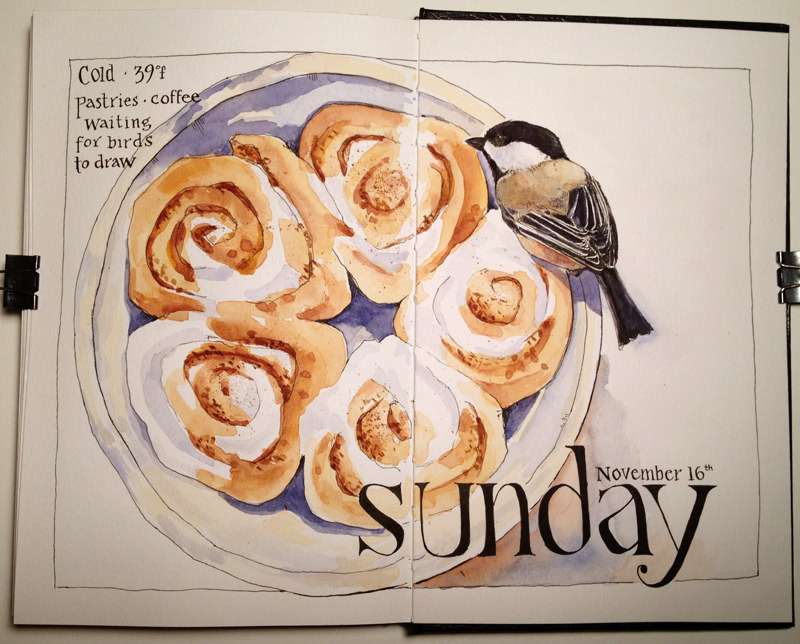 I realize that my favorite Sundays are filled with baked goods and art…and so I end the day satisfied.